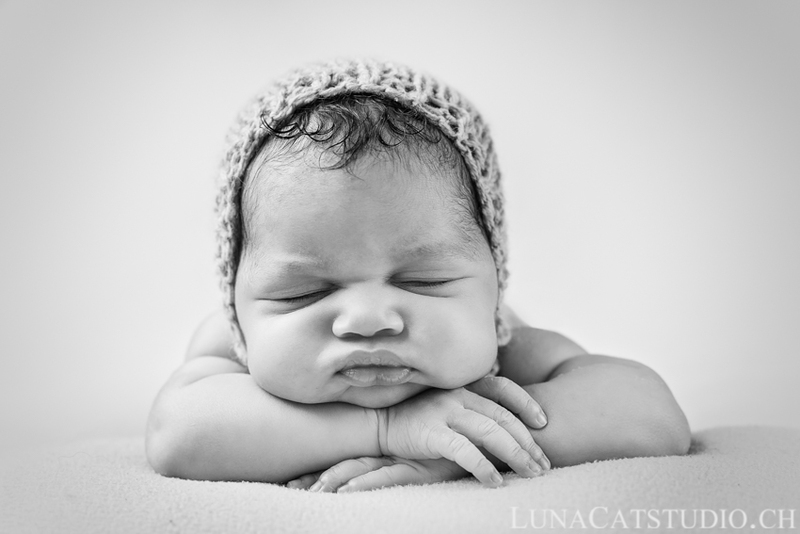 This Geneva newborn photo shoot at home is a little special. 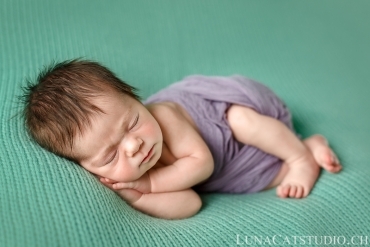 Indeed, you already know the baby of the day, Eliana, when she was in her mum’s baby bump. I have photographed the whole family for their maternity photo shoot at Geneva lake. 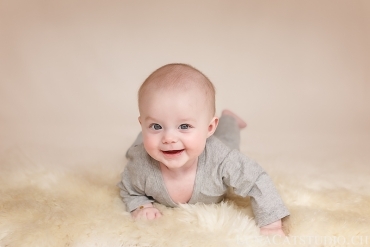 Hiring a photographer for a pregnancy photo session before your newborn photo shoot is quite a good idea as it has multiple beneficial effects for the newborn photo session. 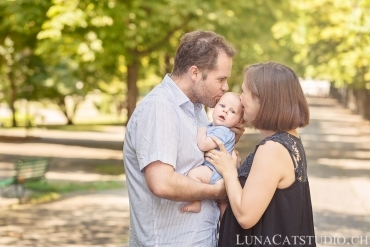 We capture your family moments before your baby’s birth, but it is also a great opportunity for family photos when you already have children. 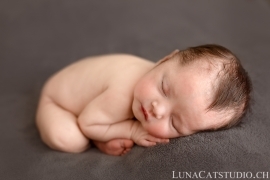 During the maternity photo session, your children will get used to me and the camera. Therefore, it will be simpler to make family pictures with your newborns are your children already know me. Do not hesitate to invest in a maternity photo session, you will not regret it for your family’s heirloom. 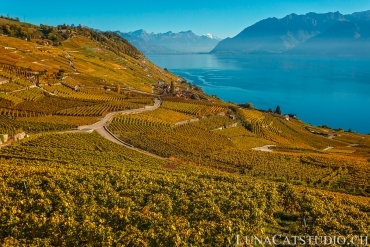 Let’s come back to Eliana, who I had the pleasure to discover 9 days after her birth at her parents’ home in Geneva. Micah, her big brother, was so happy to welcome his little sister and despite his young age (2 1/2 years old), he was not afraid of this little baby. It was a real pleasure for him to show how great he is as a big brother. 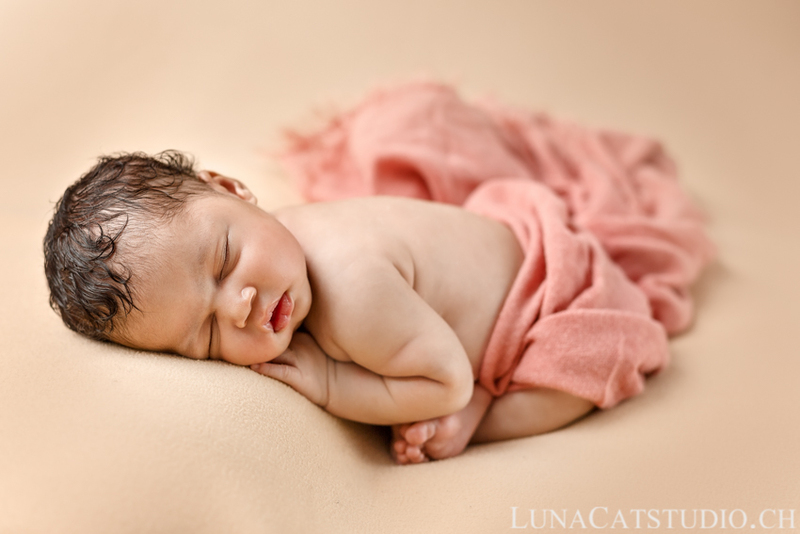 During a newborn photo session at home, it is so important making family pictures with your new baby and the whole family as these images will accompany each of your family members during one’s lifetime! We adapt the photo shoot time so that dad can be on the family pictures (which is often complicated with such a small paternity leave given to dads in Switzerland). 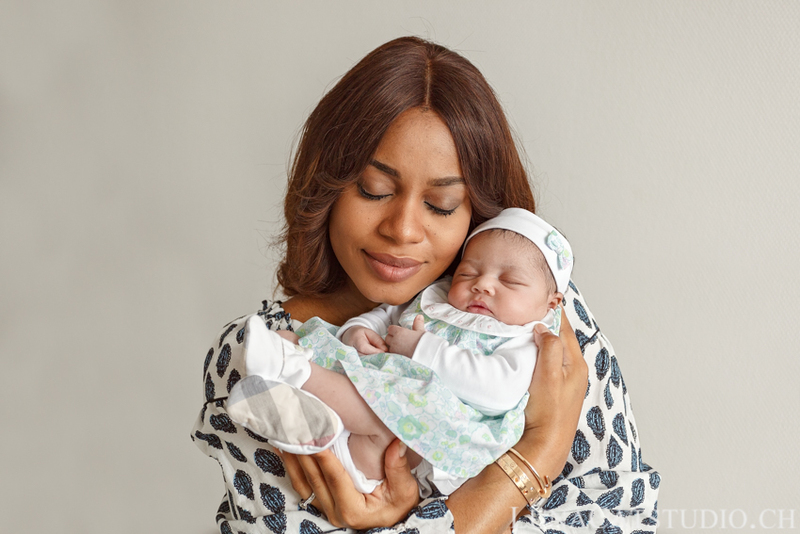 Amaka and her daughter Eliana are gorgeous together and I love showing such tenderness on family photos. 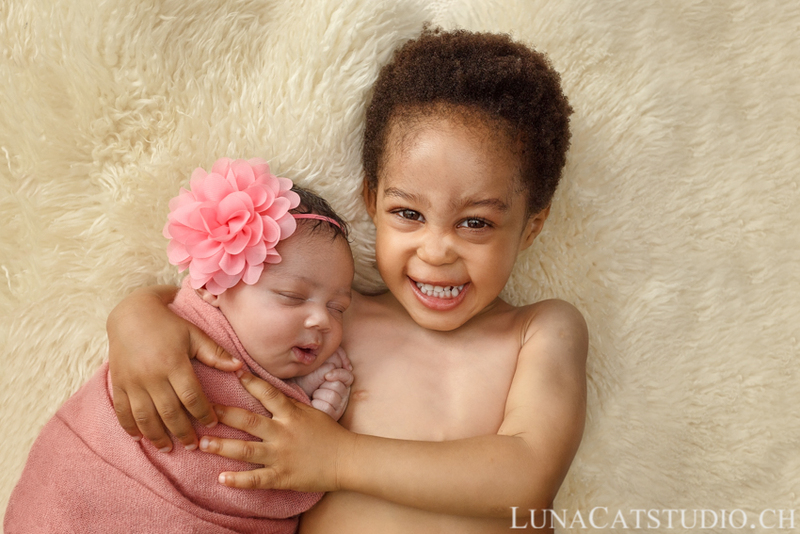 Micah and Eliana loved their sibling time during the photo session and there were lots of smiles on both their faces as Eliana was peacefully drifting into sleep in her big brother’s arms. This picture is mostly the most important picture for parents during a photo session with siblings. 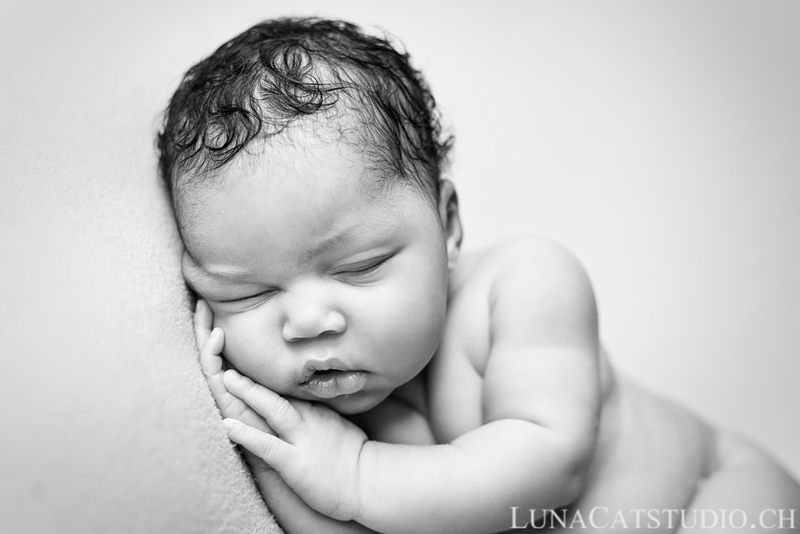 Afterwards, we focused on Eliana’s portraits for her newborn photo shoot. I do not need a lot of space to setup my photo studio to safely photograph your baby (or your babies for a twin photo shoot). 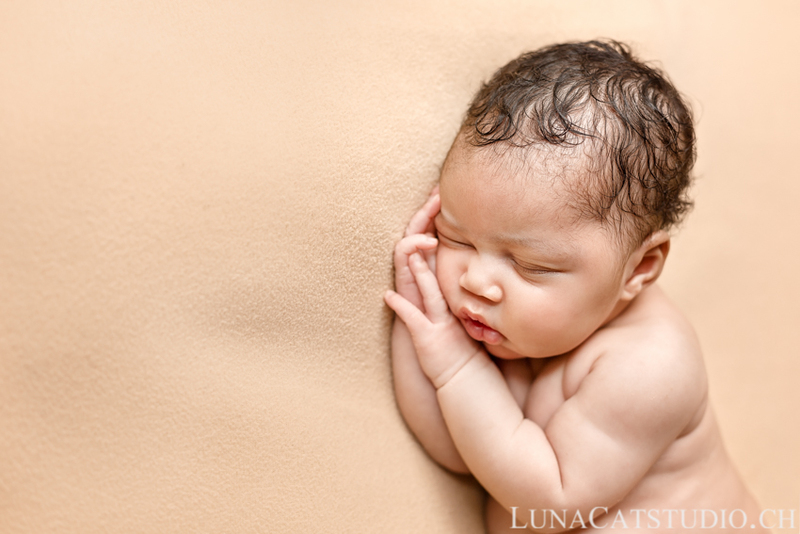 Eliana slept during the whole photo shoot and I loved making portraits of her with her beautiful hair and cheeks! As you already know, I love making macro shots with baby details: small feet, eyelashes and mouth. How not to melt with such a gorgeous baby! 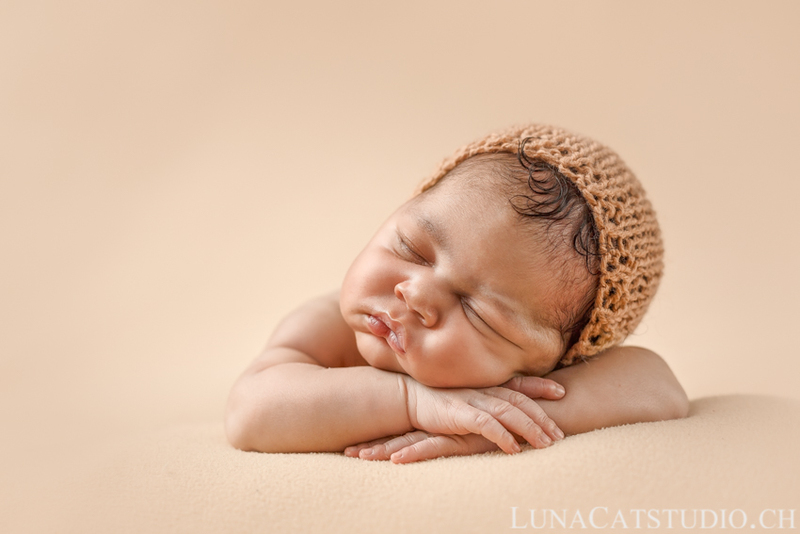 Based in Vaud, Switzerland, LunaCat Studio offers as a creative newborn photographer a unique treatment of your twins’ first days of life with artistic and wonderful imagery during a newborn photo shoot at home as a Geneva photographer. 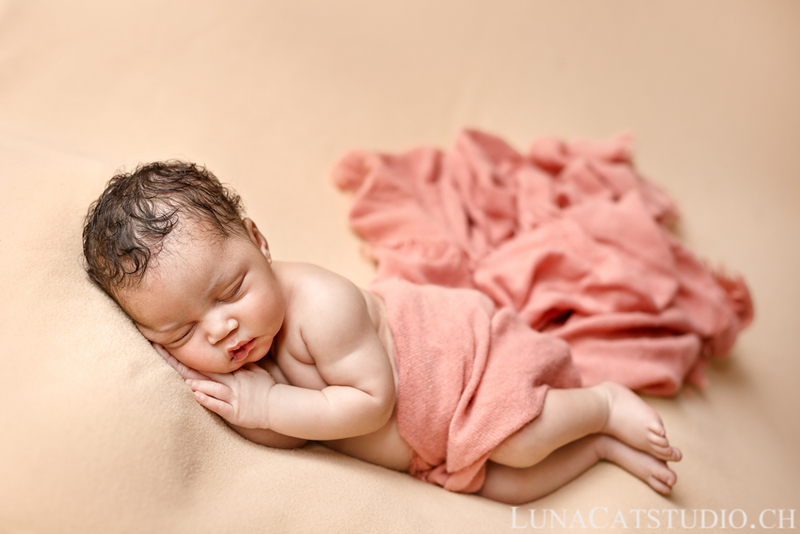 The newborn photo session stays a privileged moment to immortalize the first days of your baby after her birth in Geneva. 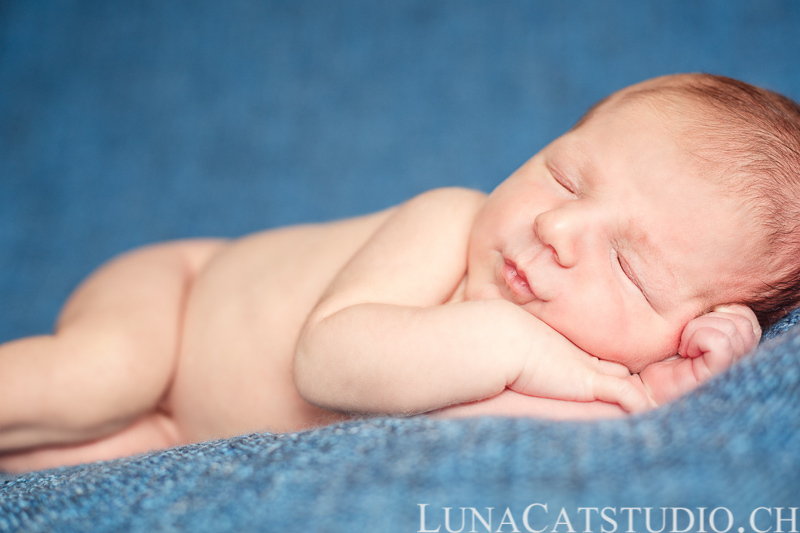 Thanks Alison for your comment, this family and this baby are so sweet and cute, I loved being their newborn photographer! 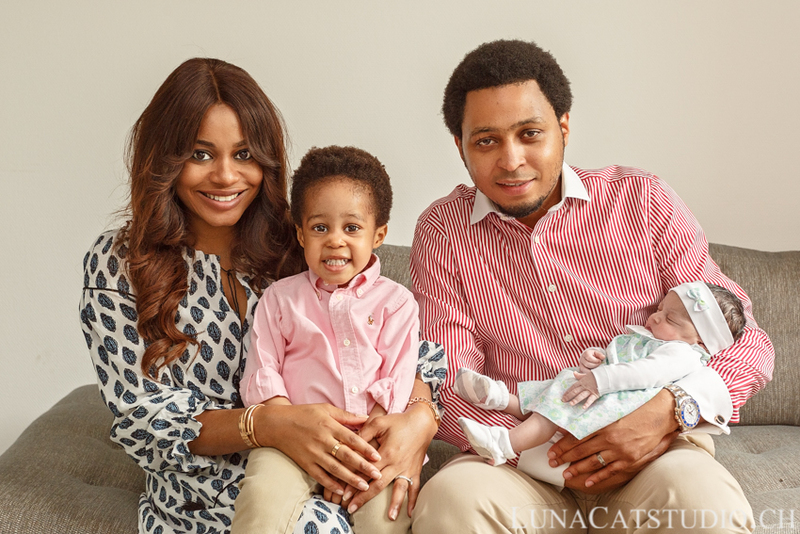 What an adorable family! LOVE the baby’s big brother! So proud and in love of his new sister! Thanks Tamara! I totally agree with you, the baby’s big brother is so cute being so proud! It is so nice seeing such a lovely relationship start between siblings. 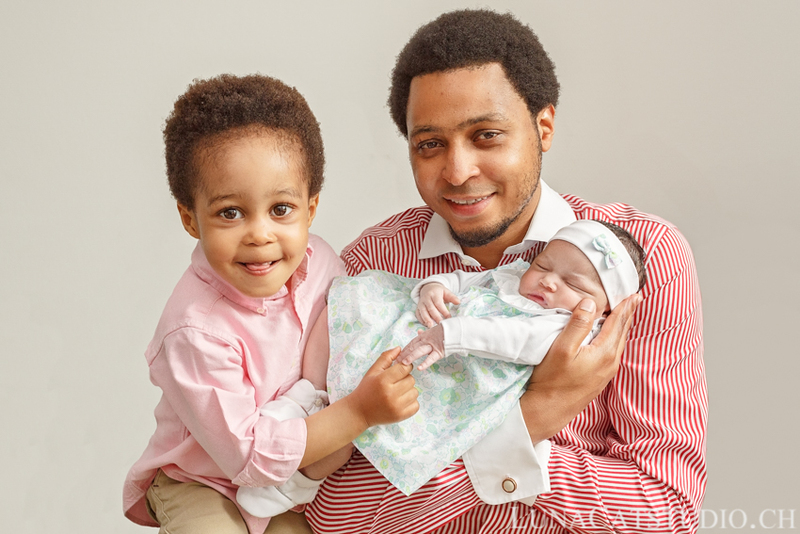 You captured the baby’s innocence and the family’s joy! Thanks, that was totally the idea so I am happy it shows well how beautiful the baby and the family are 🙂 !